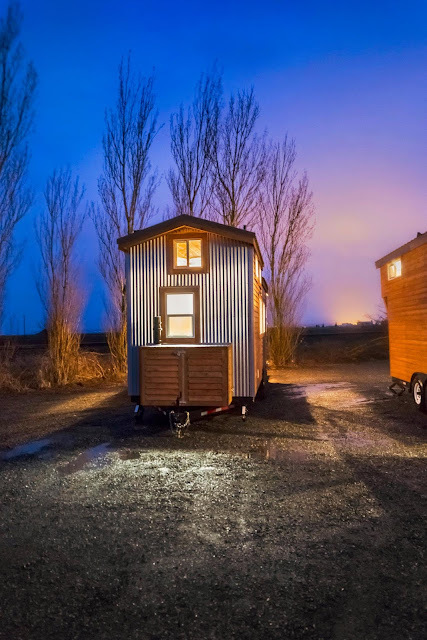 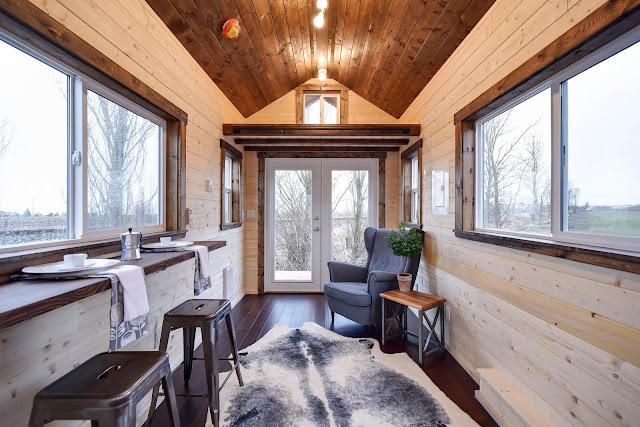 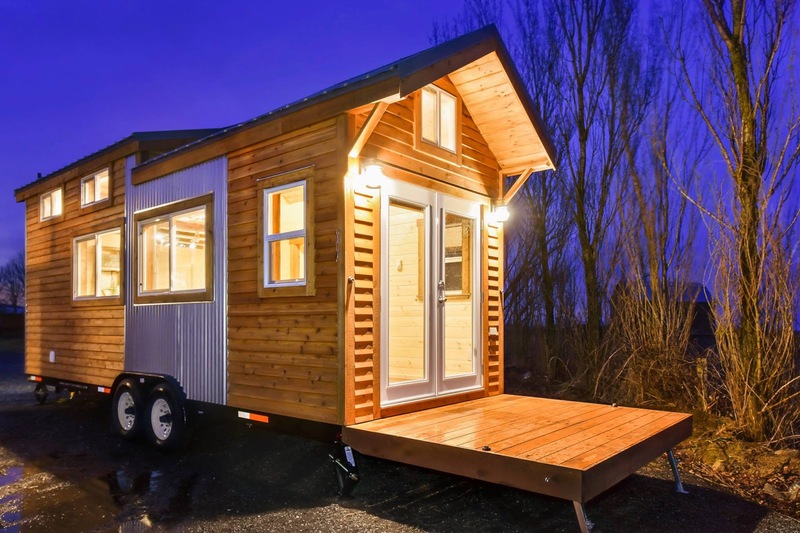 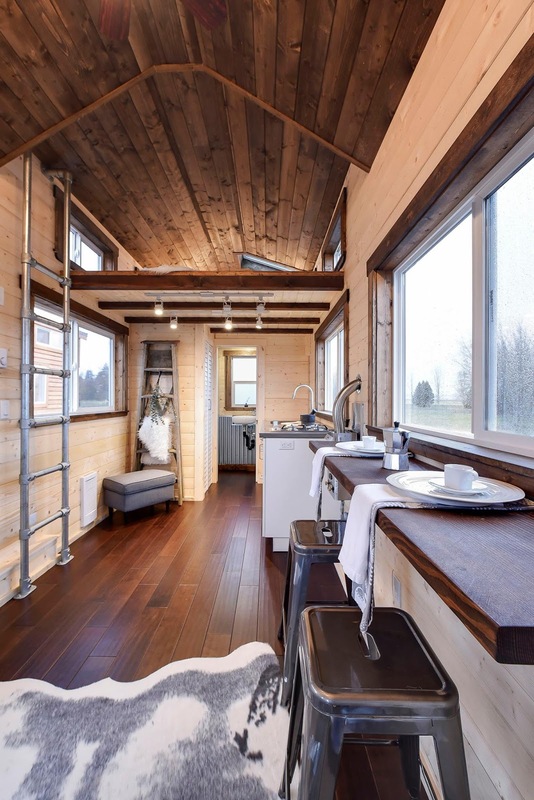 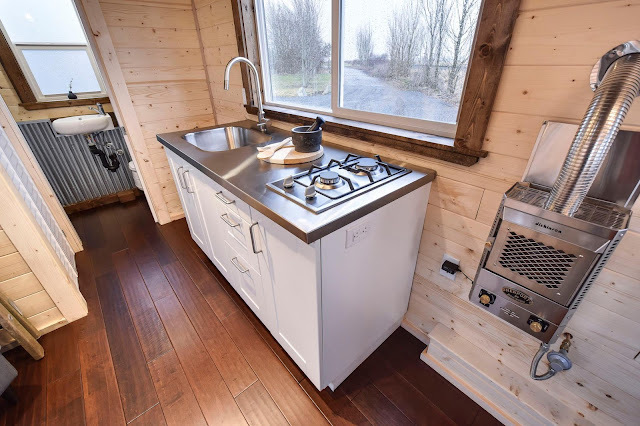 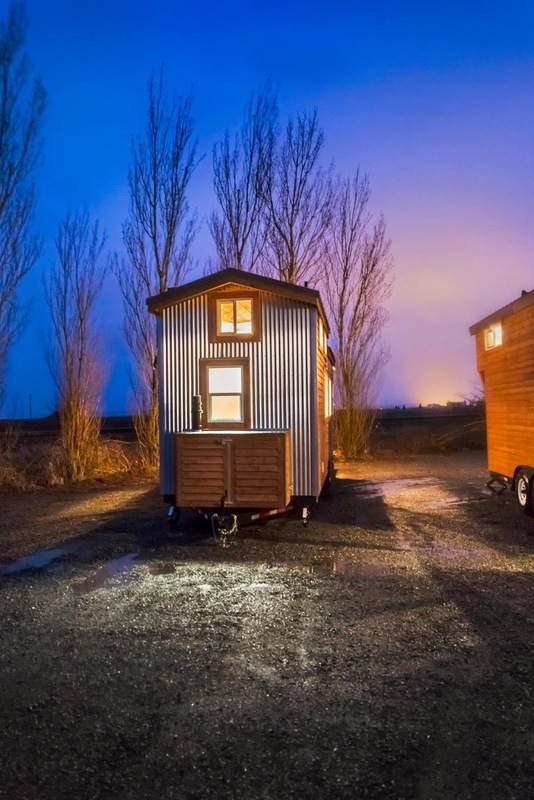 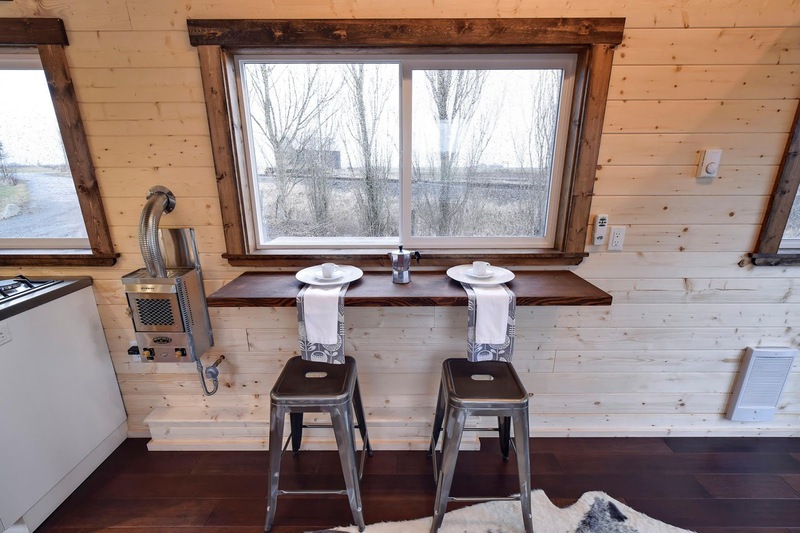 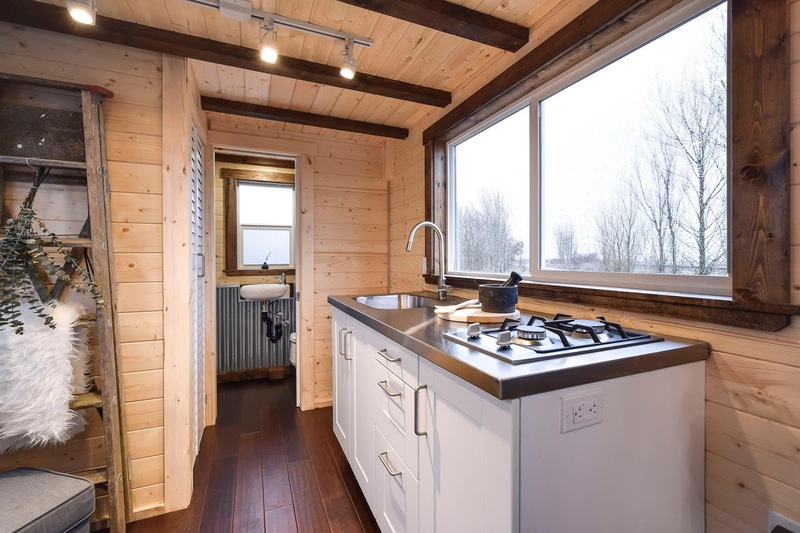 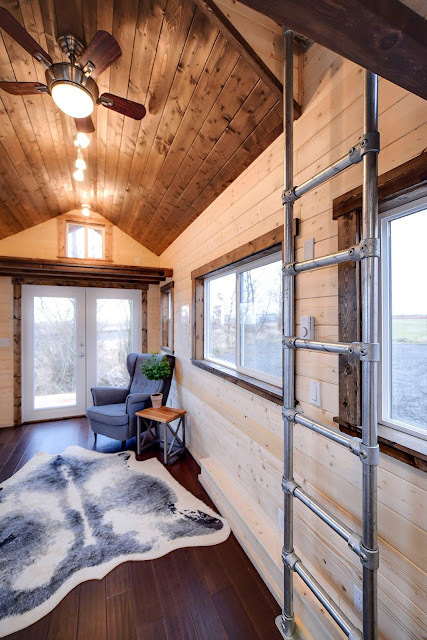 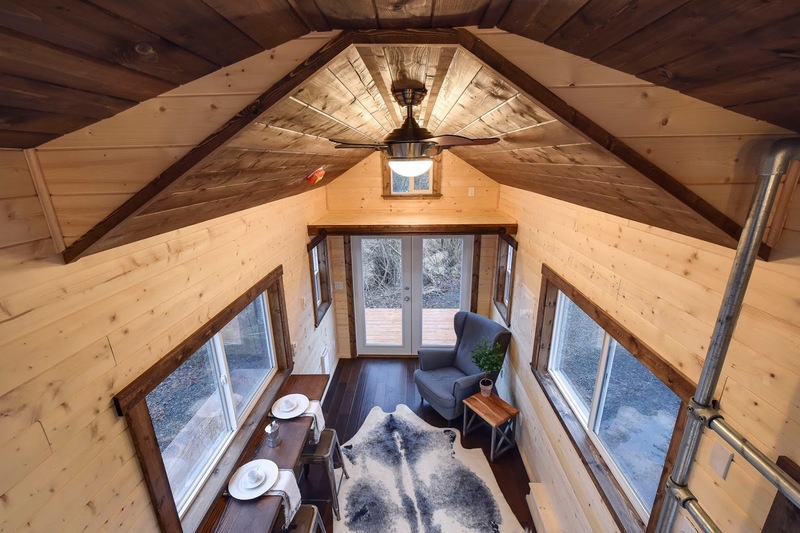 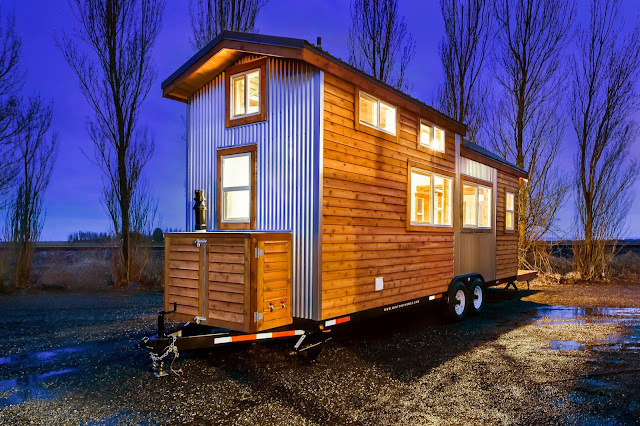 One of the newest tiny homes from Mint Tiny House Company is this updated version of the comany's Napa Edition tiny home. 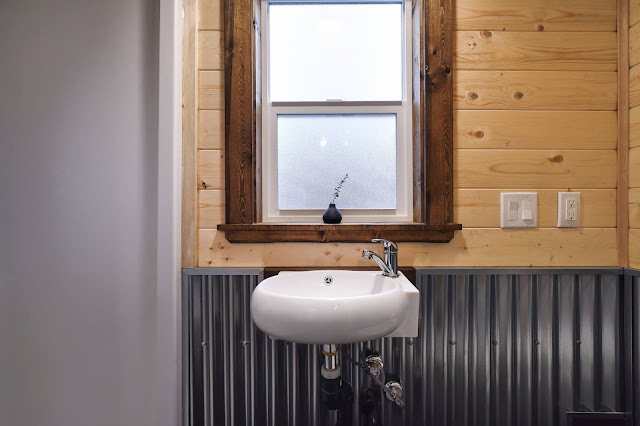 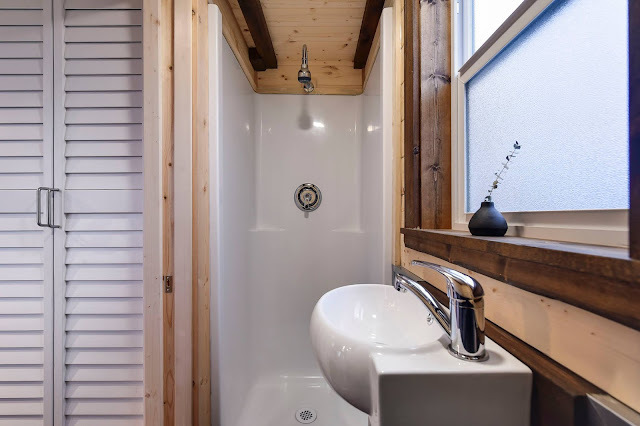 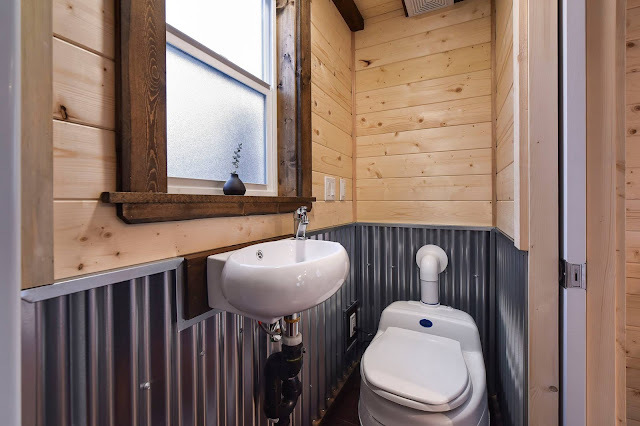 This model features the classic cedar siding and interior, but with an industrial twist with corrugated metal on the home's exterior and interior. 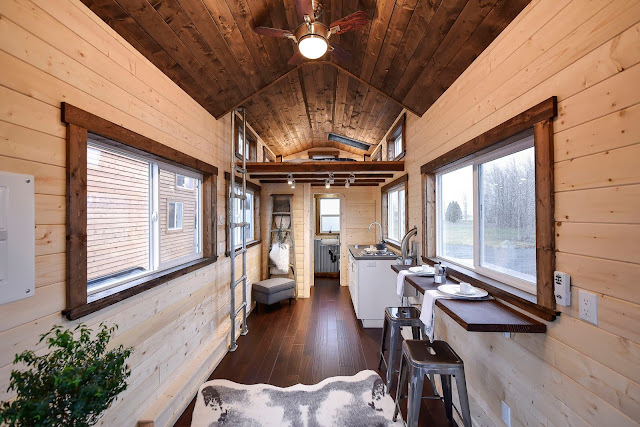 The home's beautifully designed layout features a full kitchen, bathroom, bar-style dining, a living room area, and a cozy loft bedroom. 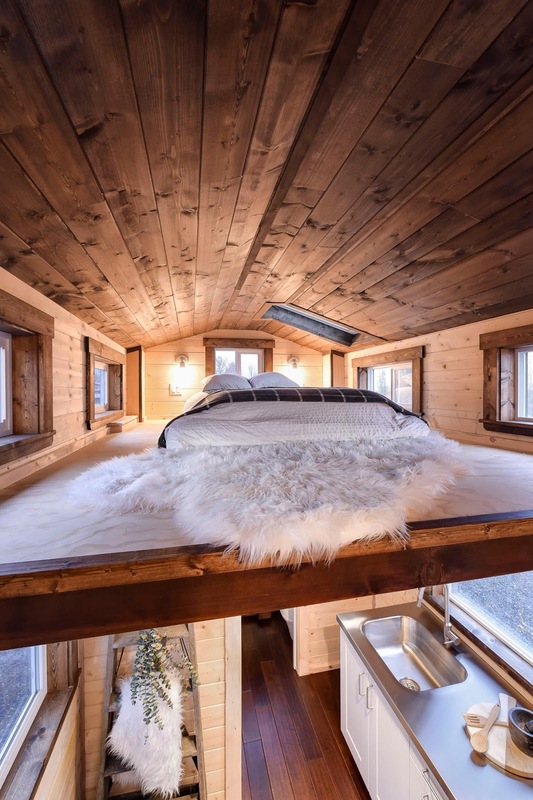 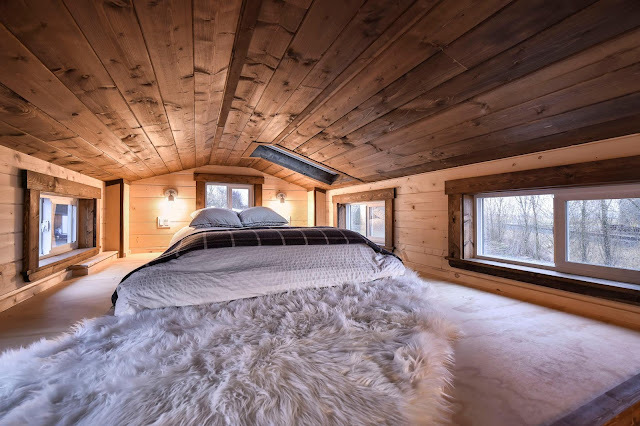 Based in Victoria, British Columbia, Mint offer's custom tiny homes to suit your needs and ships to anywhere in North America!